Jack Tong, president of HTC North Asia, said that the manufacturer will be producing more entry-level 4G handsets in the region during the first quarter of 2015. The executive said that HTC will be selling these entry-level models over the internet, along with specially designed models. 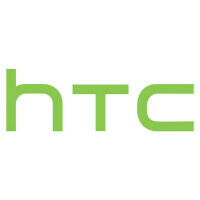 Internet sales now account for a double-digit percentage of HTC's total handset sales. It sounds as though HTC plans on using a similar online sales technique as the one employed by Xiaomi to help the latter ring up a ton of sales. By offering low priced handsets through the internet, HTC hopes to balance the distribution of its top-shelf handsets through the usual channels, including carrier sales. The sequel to the HTC One (M8) is reportedly code-named the HTC Hima. Tong also announced that the HTC RE Camera has had strong sales since the action camera's release earlier this year. More than 20,000 units should be rung up before the end of this year. The (now returned) Nexus 9 was the first HTC device for me, and most probably the last. I really wonder - What the hell are they thinking they are? Charging $400 for such a crap is almost a crime. Also start selling flagship models online by reducing $50-$100 to that what we get in store. Who cares about HTC entry level smartphones? HTC is exorbitantly overpriced in India thats why they don't have any market share here. No one is going to give a premium to HTC over Samsung/Sony. Hope they check on their blatant overpricing here. If they'll do online selling to lower their prices, that would be great. They just have to make surethat they're no going to that hunger marketing by xiaomi and that their legit distributors have links in their official website. Htc will make entry level phone and give mid range price tag and they Hope they will sell Well. To put simply HTC is emulating Apple. Period.